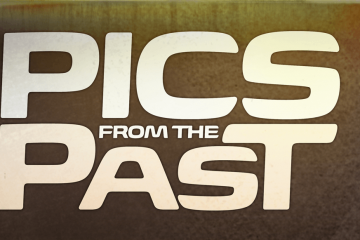 Changes in styles and tastes are inevitable for just about every gearhead rolling down the road. Some transitions will take place over a lifetime of wrenching and building. 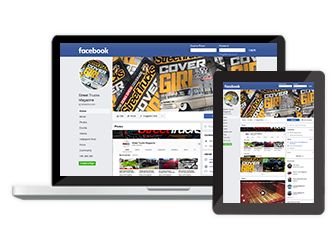 For Harvey Hutch, a meaningful shift came after a long and exhausting journey through the world of drifting. After selling his last drift missile, he decided to build something rock-solid reliable and residential street appropriate, yet rowdy enough for some weekend fun. He found his answer in the depths of a friend’s garage. 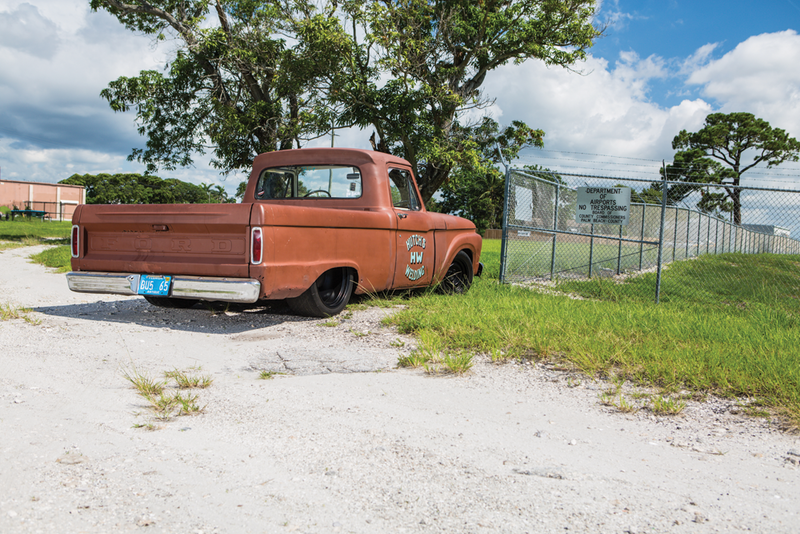 The ’63 Ford F-100 SWB (Short Wheelbase) is his latest transition into the world of custom trucks. 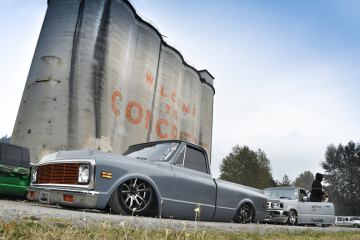 He planned to build the ’63 F-100 for reliability, fun and utility. He wanted a shop truck of sorts that included everything a well-sorted truck ought to be. To that end, the ’63 is a carefully pieced together homologation of OEM parts and custom-built components with serviceability in mind. The rear suspension uses OEM spec springs and shocks in conjunction with a custom 4-link configuration. The frame was also notched for enough clearance to lay comfortably on the pavement since future plans include air ride. The rearend is a slightly narrowed 8.8-inch sourced from a Ford Explorer. The use of other OEM pieces, particularly of the same make, meant a minimal amount of time was spent hunting or building custom parts. Similar logic applied to the front of the frame because this ’63 makes use of a Crown Vic front clip. The factory K-member, control arms, springs, shocks, etc. were all sourced from a 2003 Crown Victoria. The modern suspension engineering gives the ’63 a much-needed updated driving experience and road presence. Harvey’s primary goal with his F-00 has been to enjoy the hell out of it, and these kinds of suspension modifications are what allow him to do just that. 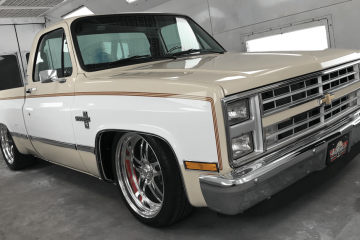 Despite the use of factory parts throughout the suspension, the custom 4-link and modified IFS allow Harvey’s truck to sit substantially lower than factory. Along with being a short-wheelbase model, the proportions of the truck are incredibly well balanced with the updated stance. The bottom body-line sits low and level, even with a massive wheel stagger. Up front are 15-inch steelies from the 2003 Crown Vic backed by OEM disc brakes. The 15s are paired with 195/60/15 Nitto tires. In the rear sit Detroit Steel Wheels 20×11-inch black smoothies with custom backspacing to clear the narrowed rearend. These are also backed by OEM disc brakes from the Ford Explorer donor. The 20s are wrapped in Nitto NT05-R 315/35/20 tires for a significant amount of grip out back. Keeping things mostly original in the cabin, there are very little hints of the damage this thing can unleash at any moment. In proud opposition to the sticky rubber, this ’63 moves with some pep in its step thanks to a 2014 Coyote V-8. If the Mustang 5.0 power plant didn’t have something to say about the grip, the twin turbos certainly do. The motor is in relatively stock form, it just sports a few supporting mods for the forced induction. Additional fuel is delivered with Mustang GT500 injectors and a Walboro 460 fuel pump. 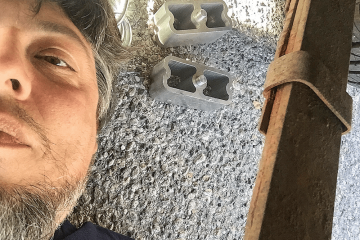 The truck inhales through an OEM intake manifold and throttle-body. The tricks come from the other end. 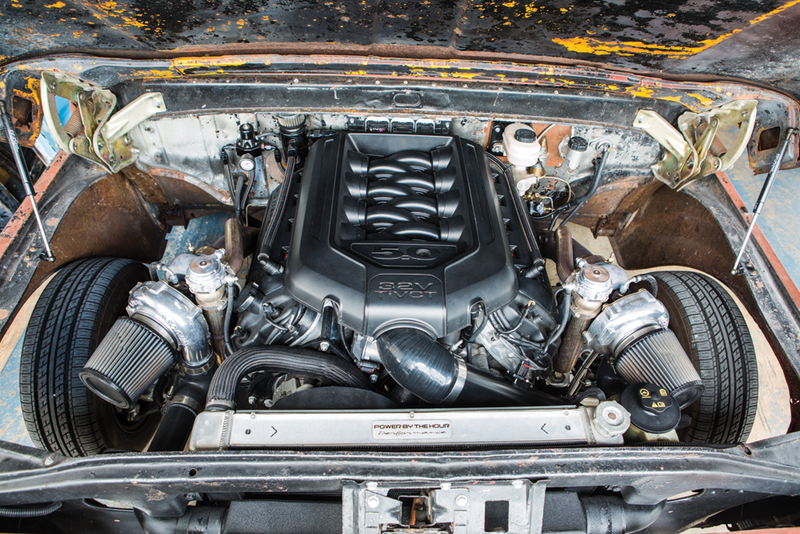 The ’63 uses Fluid Turbo manifolds to feed an abundance of air through twin snails. The air makes its way through a CX-Racing intercooler and back into the motor at a volume of 7.5 pounds. The setup is good for 600-rwhp as tuned by Lund Racing. 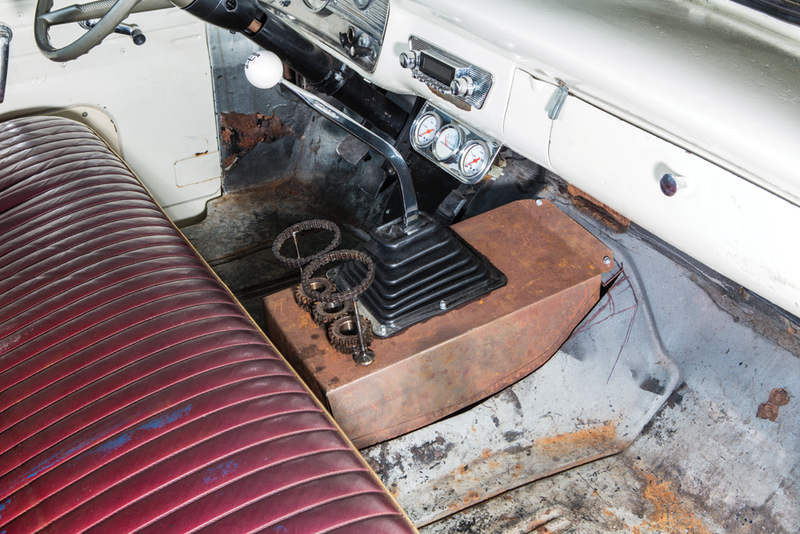 In order to reliably maintain the power, Harvey selected a Tremec TR6060 six-speed manual transmission from a GT500. 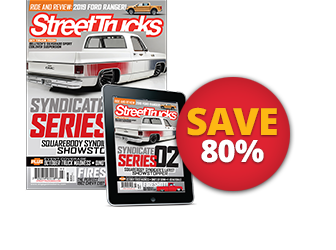 In Harvey’s words, “I think it’s more fun for a street car, to me there’s nothing like banging gears, and a hot rod needs to bang gears.” The Coyote V-8 and TR6060 bolted into the chassis quite nicely. Gears are selected with a Hurst shifter and the power makes its way along a one-piece Ford Racing aluminum driveshaft to a GT500 LSD housed in the 8.8. The beauty of a shop truck is that it can get banged up and you can still have fun without worryng too much on cosmetics. Harvey has flirted with the idea of whether or not to paint the F-100, but right now, it looks like the ultimate decision is pretty far off. 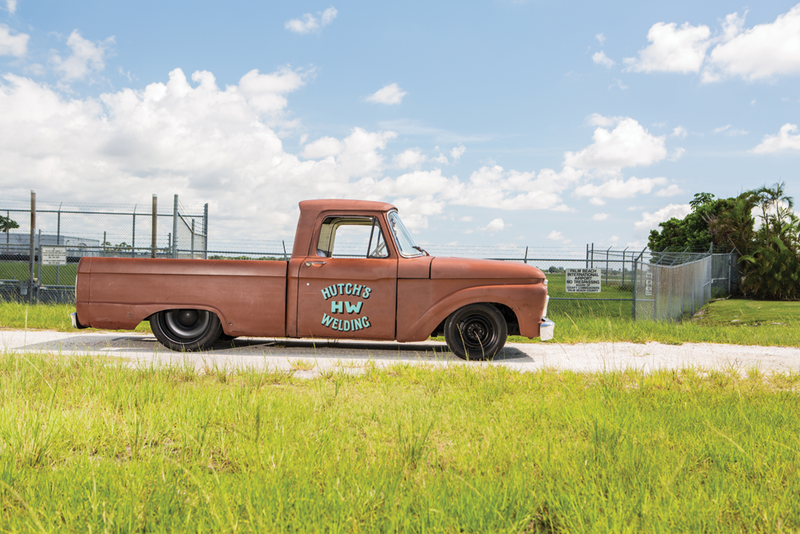 Since his goal was to build a strong, fast and fun work truck, it needs to run and drive like a dream before Harvey turns his attention to aesthetics. 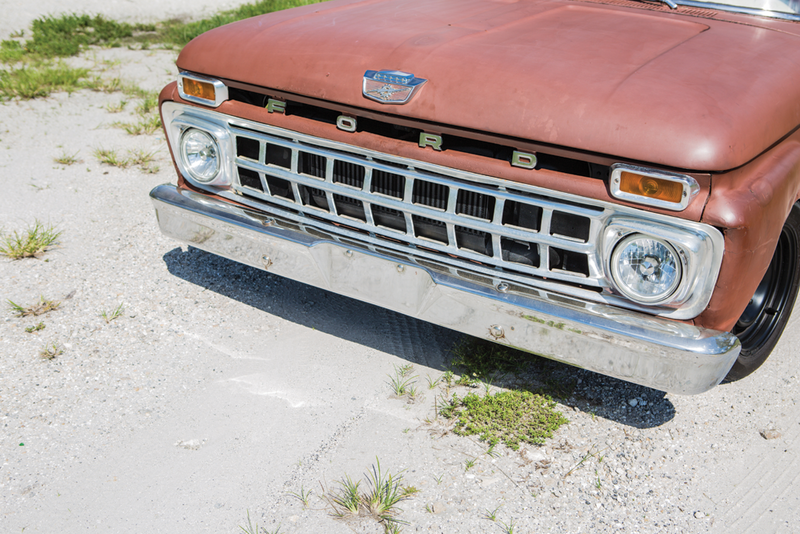 In the meantime, the truck looks uniquely authentic, thanks to its years of hard labor. 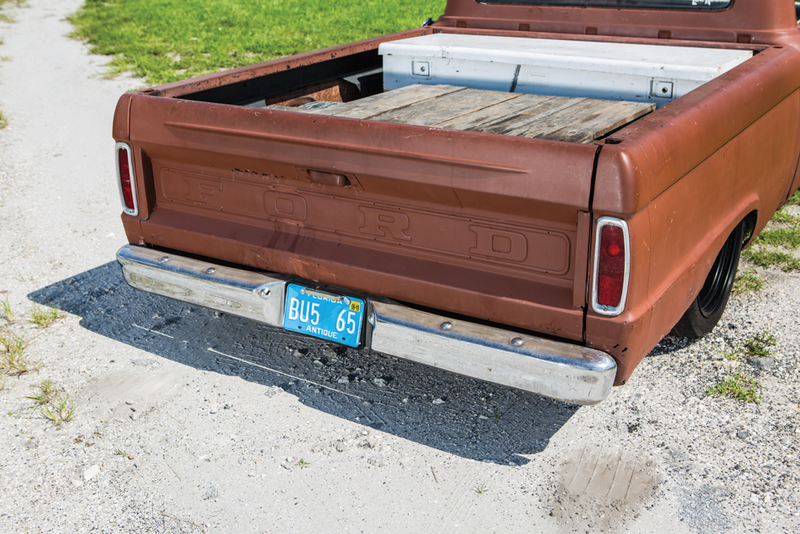 The short-bed Ford is an honest truck, built for honest use. The final piece of the current simple exterior arrives in the form of hand-painted turquoise lettering. The door-panel paint job displays Harvey Hutch’s trade as a fabricator. 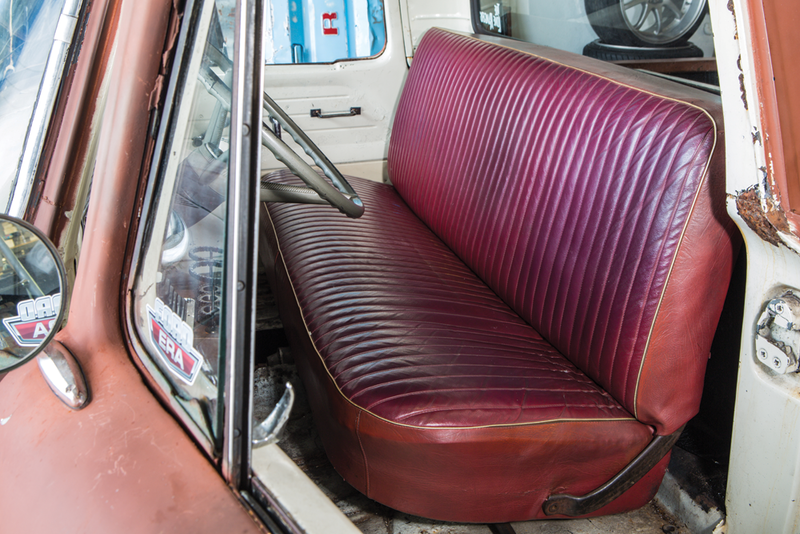 The interior was left completely original. 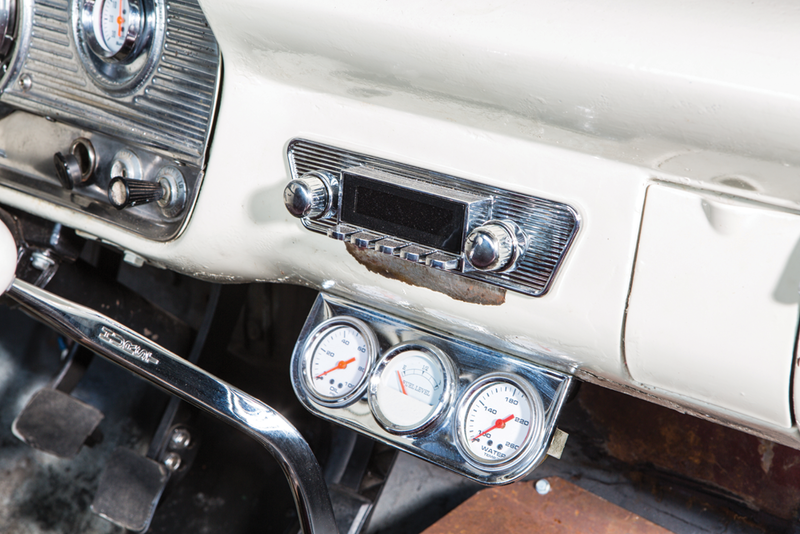 Future plans include some up-to-date upholstery and entertainment, but for now, the only signs of modification are to the classic-style instrumentation displaying the powertrain’s behavior and the billet Hurst shifter that give Harvey control over his hot rod. And NOW you see where the name of this shop truck springs from; coyote TWINS for the win! 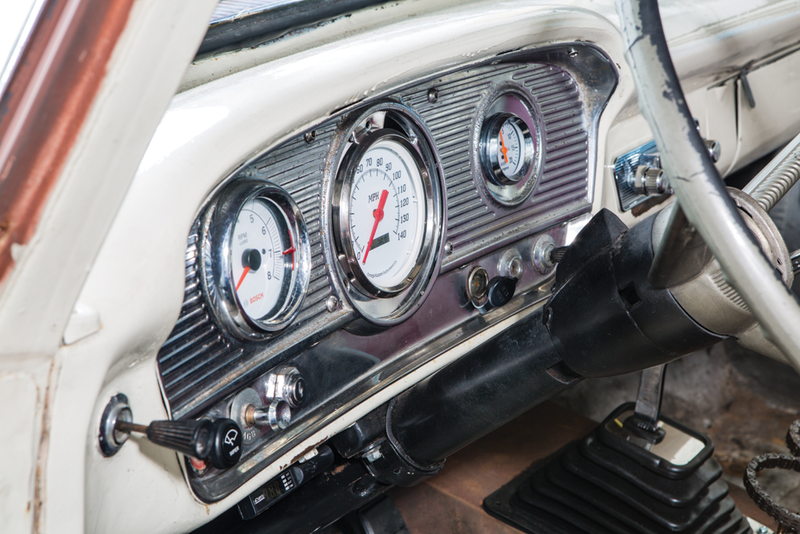 Harvey’s ’63 SWB is everything a truck was meant to be. It’s tough, it’s fun, and it’s downright cool. At first glance, you’ll notice the classic styling and preserved appearance. What you might not notice are the 600-plus horses beneath the hood, until it leaves in a cloud of tire smoke. Though the project is far from finished, Harvey has already accomplished his goal of building his truck for some good, clean, dirty fun. Next ArticleNEW PARTS COUNTER! Hot products for your ride!